Select a region by selecting an area on the map below or by selecting from the list of regions provided on the left. 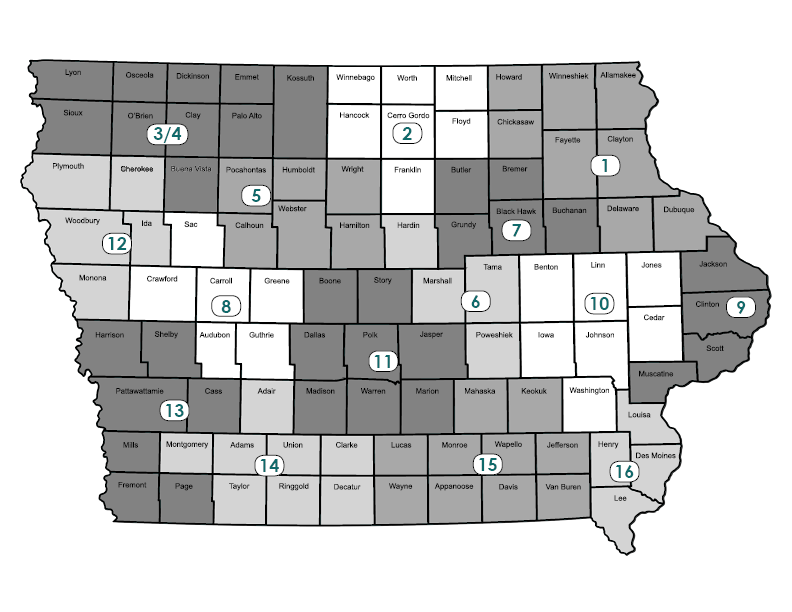 The Regional Workforce Investment Boards (RWIBs), in partnership with Iowa Workforce Development (IWD), will identify and certify training providers whose performance qualifies them to receive Workforce Innovation and Opportunity Act (WIOA) funds to train Adults and Dislocated Workers. Training providers will be determined to be eligible, initially as well as subsequently, by RWIBs in partnership with IWD. IWD's website has additional information about approved training providers.